1. In the following Rules…..
2. The Rules of the Club are laid down by the Directors and must be subject to and in accordance with the Articles of Association of the Company. 3. The Officers of the Club shall be the Directors, Chairperson, Mens Captain, Ladies Captain, Elders Captain & the Secretary and these positions will be permanent members of the Committee. Additional Club Members may be nominated to become Committee Members by the Officers of the Club or Members. The Chairperson shall be elected at the Annual General Meeting & shall hold office until the next A.G.M. when he/she shall retire, but may be eligible for re-election. The Captains of each of the Golfing sections will be elected or re-elected by the members of each section on an annual basis. 4. Annual General Meetings of the Company shall be held to review the Annual Report and for attending members to adopt the Annual Accounts for the preceding financial year. 6. New Members are required to complete an application form stating their home address, contact details and category of membership they wish to join as. 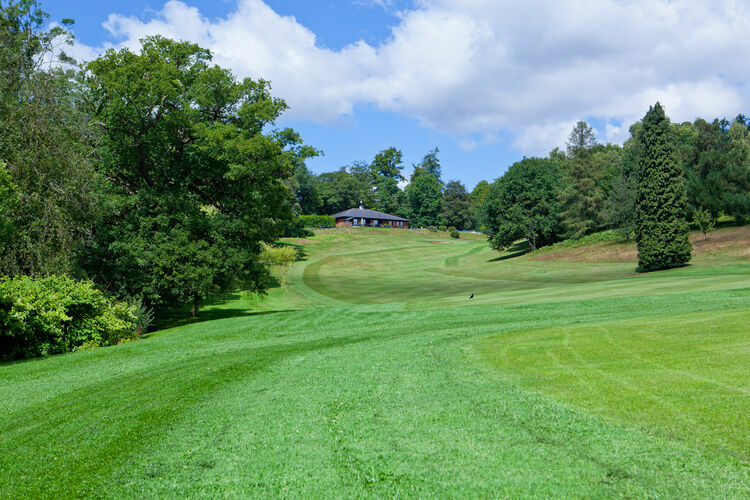 Upon payment of the appropriate membership fee they will become Members of Dorking Golf Club and will be liable for the guarantee (not exceeding £2) referred to in clause 6 of the Articles of Association. 7. All Playing Members of the Club shall have full voting rights. The number of, and the various categories of members shall be at the sole discretion of the Committee but will determine by the total numbers of playing members which will be the aggregate total of all playing categories, except in the case of Honorary members, elected by the Officers of the Club, which are limited to six unless the consent of the Company is obtained in a General Meeting. 9. Suspension and Expulsion: The Committee are empowered to temporarily suspend members for breach of Club Rules and to recommend to the Directors expulsion under Clause 22 of the Articles of Association (September 2016) for serious or persistent breaches. In the event of expulsion (but not suspension) subscription paid for the current year will be refunded pro rata. 10. Temporary members: Non-members may at the discretion of the Committee and subject to these Rules be permitted to play games at the Club on payment of the prescribed green fees and shall be Temporary members of the Club for the period covered by the fees paid. Members of visiting teams are Temporary members. Members introducing visitors as Temporary members shall accept responsibility for the fees payable and the general observance by their visitors of the Rules of the Club. 11. 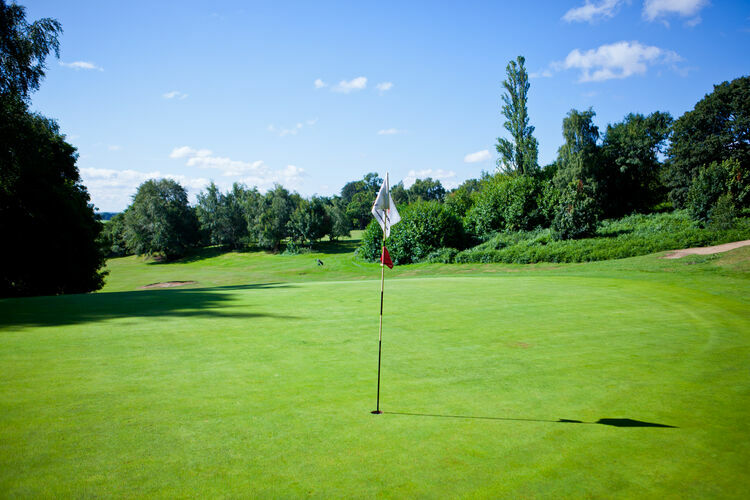 Green fees: Fees paid by Temporary members shall be fixed by the Committee from time to time and the names and contact details of any Temporary members must be recorded and fees must be paid before play commences. 12. 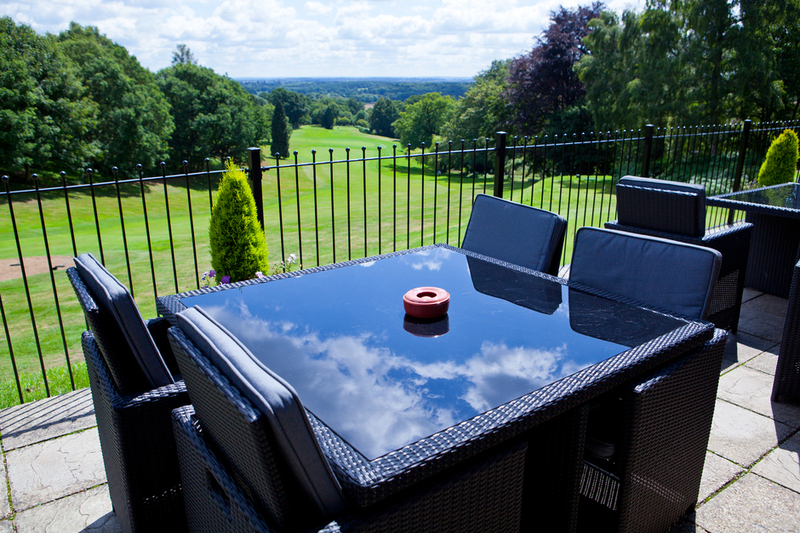 Booking tee times: Outside the normal roll up and competition times there is a booking system for tee off times. Members may book up to 7 days in advance (or longer for official knock-outs etc.) This does not prevent members from turning up on spec to play but they must report to the Clubhouse to check the time of the next available slot. 13.Annual Subscription: The Committee have the power to set the amount of annual subscription from year to year. All annual subscriptions shall be payable on the 1st April in each year or at other such dates as the Committee may decide. Members joining during the current subscription year pay a pro rata subscription for the remaining period of the year. Members whose subscriptions, after due notice has been given, remain unpaid after 30th April shall receive a reminder of the fees due and if not paid within a further 30 days, their membership will then be liable to suspension or termination. Methods of payment shall be as determined by the Committee and may include annual or instalment methods. 14. Resignation: Members intending to resign shall give notice in writing to the Secretary before 31st March of their intention to do so, otherwise they shall be liable for their subscription for the ensuing year. Any member who resigns and subsequently wishes to re-join will be required to pay the full 12 month fee or allow at least 1 calendar year to lapse before reapplying for membership. 15. Complaints & Suggestions: A book is lodged in the Clubhouse for any comments, suggestions etc. and shall be brought before the Committee for their consideration and reply. No employee of the Club shall be reprimanded by a member. Confidential complaints should be put in writing to the Secretary. 16. Communications: Members of the Club must maintain their contact information on the Clubs website, ensuring their address, e-mail or telephone number are correct. In the event a member does not have access to the internet, the member must inform the Secretary of any change in their contact details. 17. Damage: Any member or visitor damaging the property of the Club will be required to make good the damage. The Club shall not be liable in any circumstances for any article, the property of members, visitors or guests that may be lost or damaged on any part of the Club premises, the Car Park or Course. 18. Dogs on the Course: Members only are permitted to bring a dog on a lead after 2 p.m. on any day, however, if there is a Club Match during these times dogs are only permitted after the match has finished. The dog must be well behaved and quiet, and any dog mess must be removed by the dog’s owner. It is the responsibility of the owner to keep the dog under control and if the dog’s behaviour gives cause for concern then it may be necessary to tell the owner not to bring the dog in future. 19. List of Members: An alphabetical list of members and contact details is available on the website. 20. Dress: All members are expected to be appropriately dressed when using the Club, details of dress code are available on the website. 21. The Rules of Golf adopted by the Royal and Ancient Golf Club of St.Andrews, supplemented by local rules as the Committee may from time to time adopt shall be observed. 22. Hours of opening and closing: The Club House shall open and close at such hours as the Committee shall from time to time appoint. The right of closing the whole or any portion of the Club House or Course for any period or for any purpose is reserved to the Committee or General Manager. 23. Permitted Hours: The hours during which alcoholic liquors may be served in the Club to members shall be such as are approved by the appropriate Licensing Authority or such shorter hours as shall be determined by the Committee or General Manager from time to time. 24. Mobile phones: Players are requested to mute the ringtone on their mobile phones while in the Clubhouse. 25. Buggies, Trolleys and Golf Bags: are not allowed on greens, tees or beyond white lines protecting approaches to the greens, A ball lying on a wrong putting green must be lifted and dropped in accordance with Rule 25-3b. 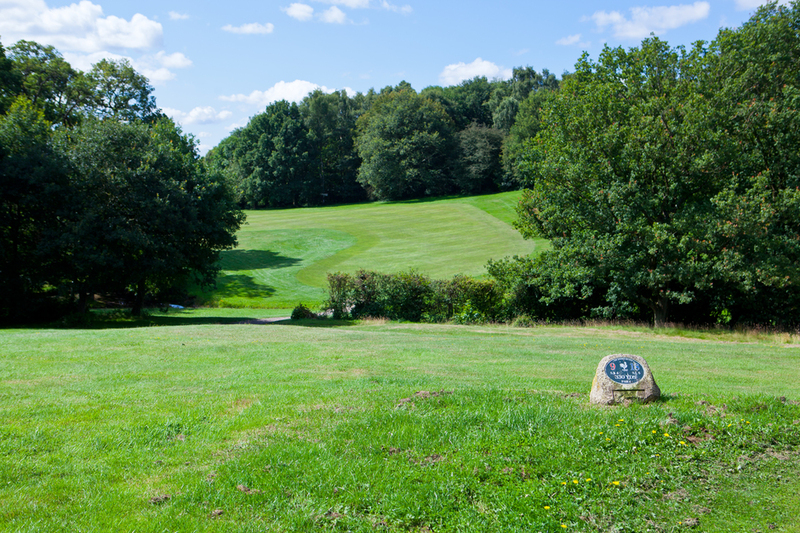 When it is deemed necessary by the Head Greenkeeper or his substitute, members and green fees will not be allowed to use buggies or trolleys on the course and all golf bags will be carried. The only exception to this will be trolleys fitted with hedgehog wheels. Any player wishing to use a Buggy in any stroke/stableford competition or Club Match must register a valid medical certificate or Doctors letter with the Club Secretary or Competition Secretary. Players are reminded that any passenger in the Buggy must also have registered a medical certificate. Buggies are NOT allowed in the Club Championship. All playing Members in a 2 or 4 ball match playing in competition may jointly agree to use a buggy, in which case this is permitted. This must be a unanimous decision amongst all playing members in the group. The use of buggies is permitted for non-qualifying rounds i.e. roll up / fun competition. However a signed score card in a non-qualifying round cannot then be used for a handicap adjustment where a buggy has been used. 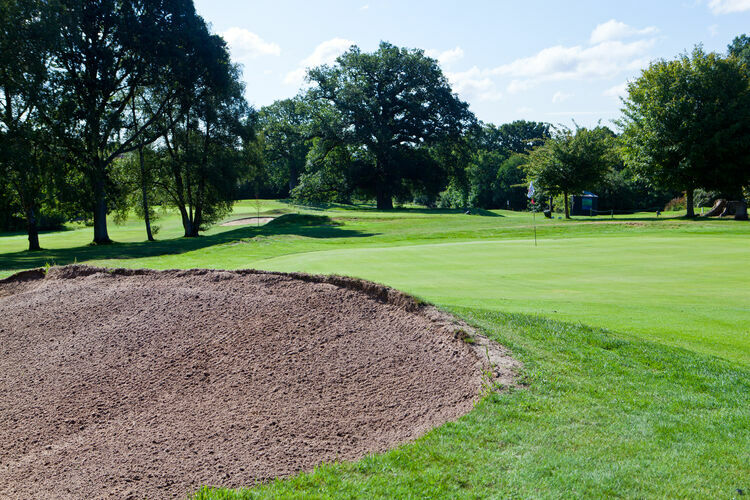 The Head Green Keeper has sole discretion to stop the use of buggies, when course conditions dictate that their use would be detrimental to the condition of the course. Buggy users have to play at the pace of walking players.